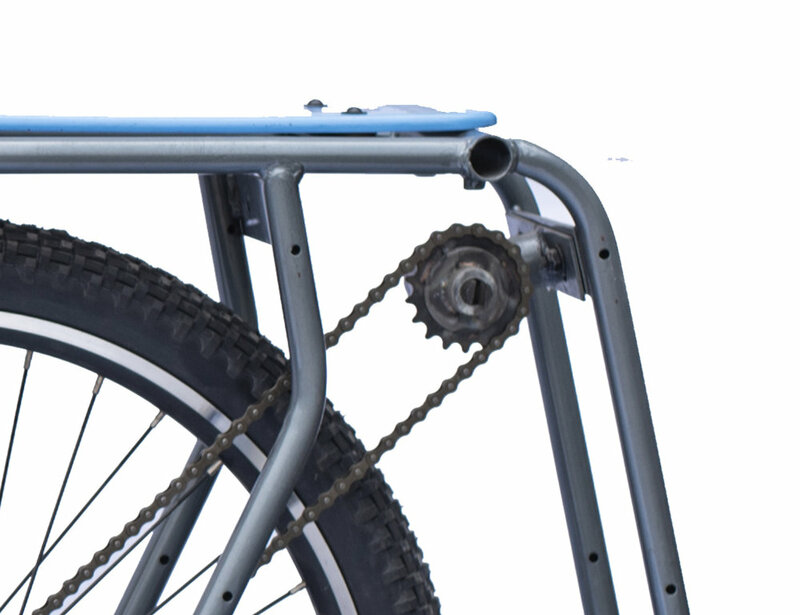 Our Power Take Off converts a bicycle into a pedal powered machine without compromising its capability as a bicycle. A rotating shaft provides power whenever the rear wheel is turning. A sturdy kickstand supports the bicycle, allowing it to be pedaled in a stationary position. Tools easily connect to the PTO, allowing the user to pump water, grind grain, generate electricity, wash clothes, etc. If it rotates, chances are pretty good you can power it with a Portal PTO. No more sore thumbs! The PTO Corn Sheller allows you to shell your corn harvest at lightning speed and little effort. You'll get this task done so quickly that you can even shell corn for your neighbors as well! Power is out again? No worries, you can get all of your grinding done from home. Grind your corn, wheat, or even coffee! You can even make a business out of it.